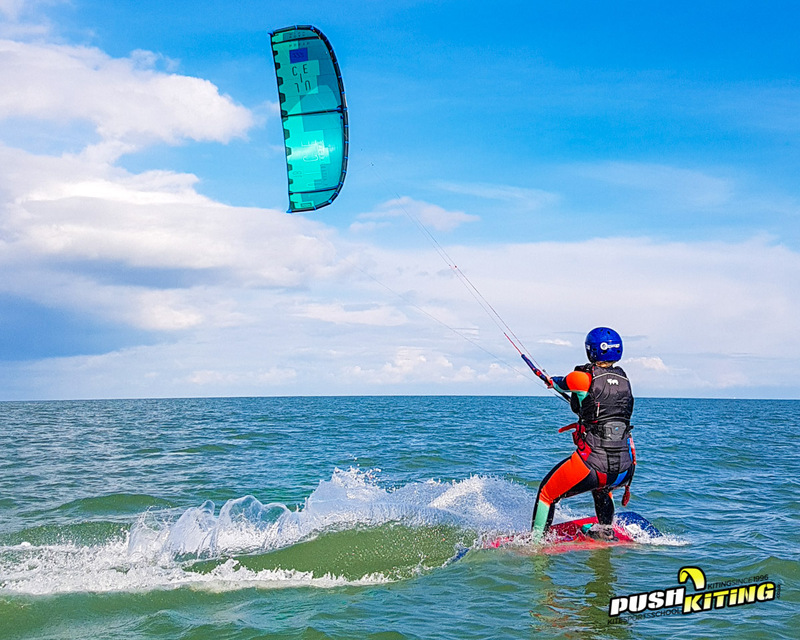 PUSH Kiting offers a range of kite surfing lessons for beginners and experts alike. Whether you’re an individual that’s looking to push your own limits, or a group looking for the ultimate team experience, we have you covered. 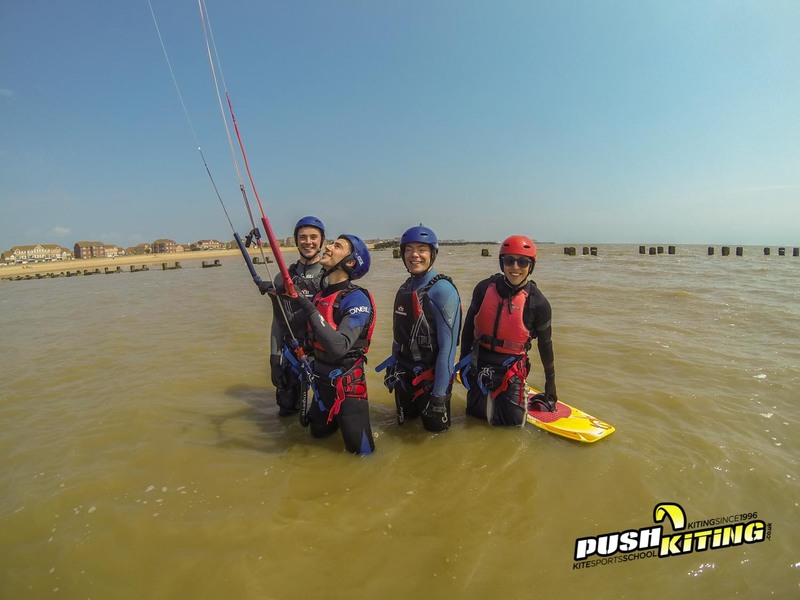 We provide Kitesurfing lessons in Essex, near London with the latest equipment and best professional instructors. 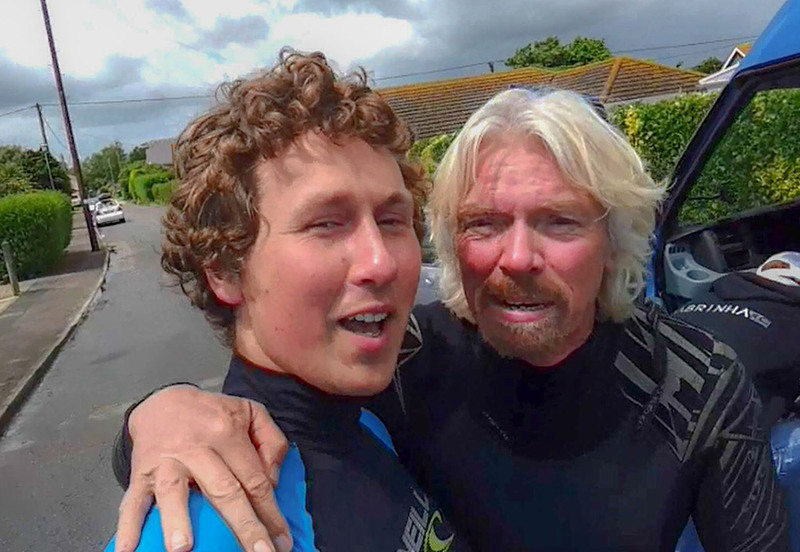 Our head Senior instructor David Ursell has accompanied and personally guided Sir Richard Branson to World Record success. Kitesurfing is a fantastic sport with limitless potential for sporting achievement, exploration, and adventure. With our guidance you can learn to kitesurf, exploring every aspect of kitesurfing, starting with beginner Kitesurfing lessons on twin tip surfboards, moving from a standard kiteboard to a directional surf board. 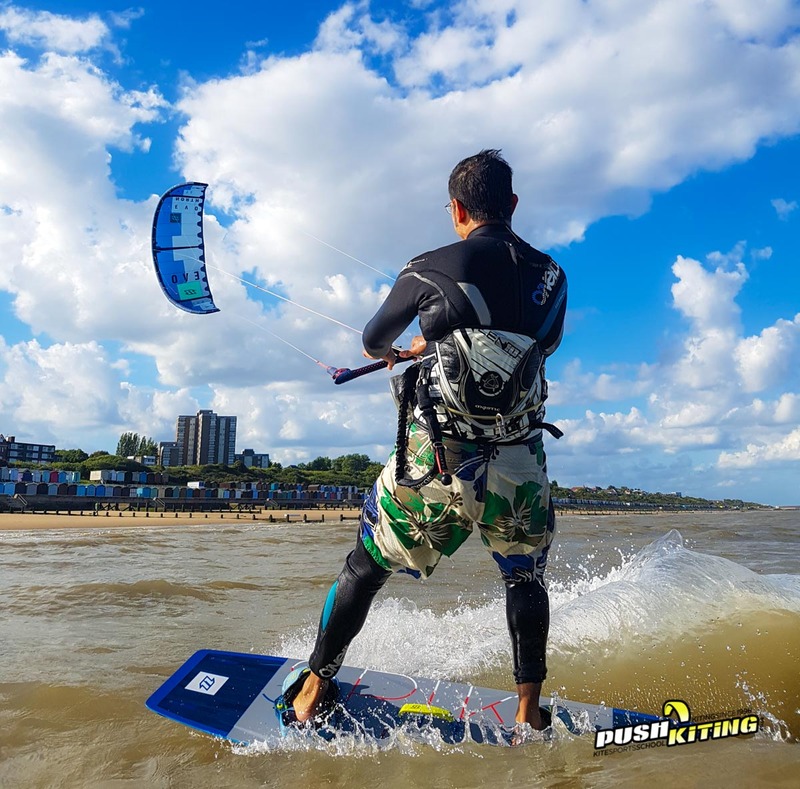 In our classes, we can teach you to go strapless or strapped, and we offer only the very best advanced classes with Hydrofoil kiteboarding, also known as Foil boarding, an incredible new movement in the history of kiteboarding that opens up many more avenues. If you’re looking to learn to kitesurf, you need to look no further. Check below to view just some of the kitesurfing services we offer. Fancy trying kitesurfing but unsure about exactly whether its for you or not? This 2 hour course will give you a real insight into the first steps of power kite flying and guide you through the complex but achievable maneuvers! This is a group lesson for 4 or more people. This lesson is ideal for people who want to experience the thrill of kitesurfing but are unsure if kitesurfing is right for them. 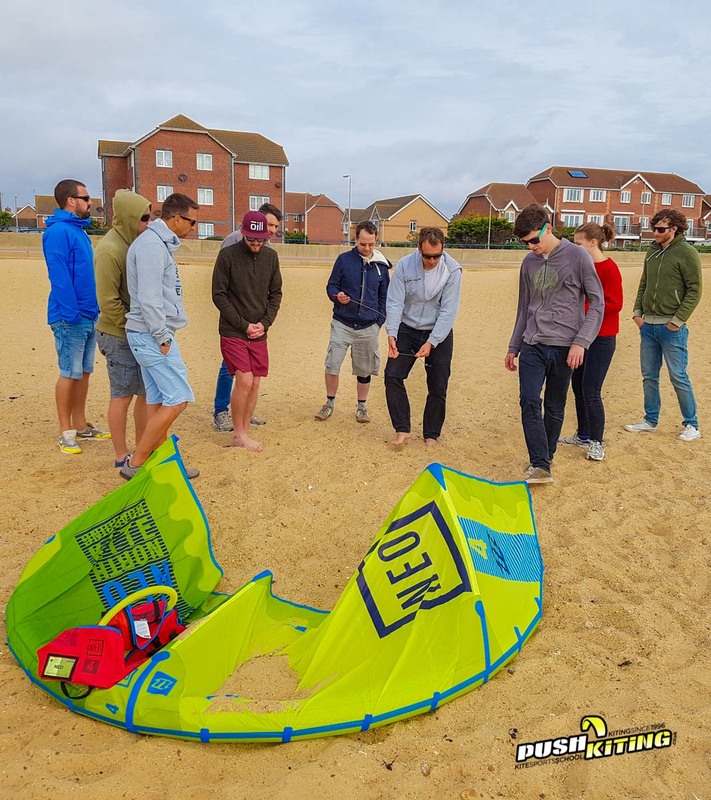 In this course you will learn a more comprehensive skill set than in the Kitesurfing Taster session by working on your power kite skill set to a higher level of proficiency, you will also be exposed to much more of the theory behind kiting. This is a group lesson for 3 or more people. This course is your first steps into the kitesurf world. We will show you how to control a powerful kite with ease, and start to build the kite skills you need to surf through the water safely and with confidence. This is a group lesson for 3 or more people. The course builds on your knowledge from the one day course. You will experience a kite with more power and further your control. Most people will achieve some level of kitesurfing. By the end of this course you should be at a level where you will be able to practice kite flying safely, and depending on each persons progress you might have some experience riding the board. This is a group lesson for 3 or more people. The most flexible kite lessons – We can run these every day to suit your schedule! This is one of the fastest ways to learn kitesurfing with the instructor dedicating themselves to your goals. If you prefer to learn on your own from the start or wish to progress your skills, e.g. riding upwind, carving then one to one tuition is for you. 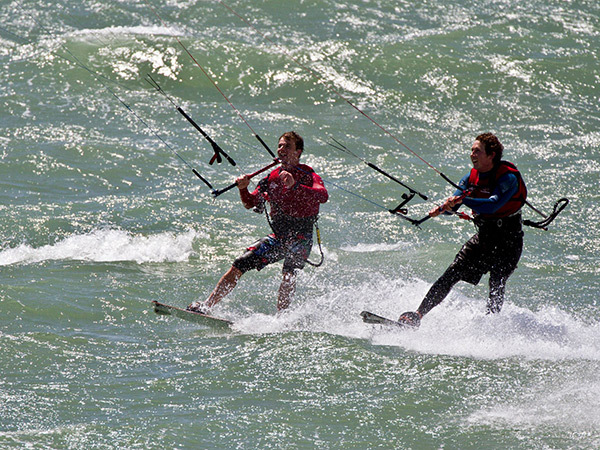 Luxury Kite Surfing Lessons with Boat support. This is by far the fastest way to learn exactly what you need, with the instructor/s dedicating themselves to your goals. If you prefer to learn on your own from the start or wish to progress your skills, e.g. riding upwind, carving or fancy learning new tricks in the safest way then one to one tuition is for you. You must have done a beginner lesson learning the kite skills or have adequate safety/flying knowledge already to access this course. 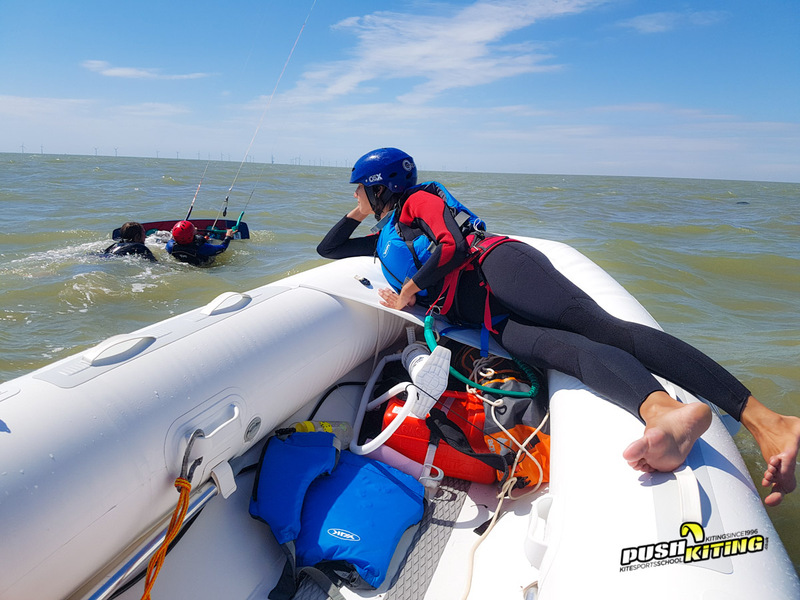 Please book at 4 hour “Water Prep” Private Kitesurfing lessons if you are a complete beginner to get all the skills you need to jump into the boat with us on your second lesson. These are completely bespoke lessons so let us know what you need! Private Advanced Kite Surfing Coaching with Dave! Take it to the next level or make the best start! Dave is the Highest level qualified BKSA power kite instructor in the UK, as the only Advanced Coach and he’s also a senior instructor, he has the knowledge to improve your riding from what ever level you are at to become a super awesome kiter, are you crashing a trick over and over again, not getting the toe side carving manoeuvre just right or want to learn how to land jumps smoother then Dave’s your man. 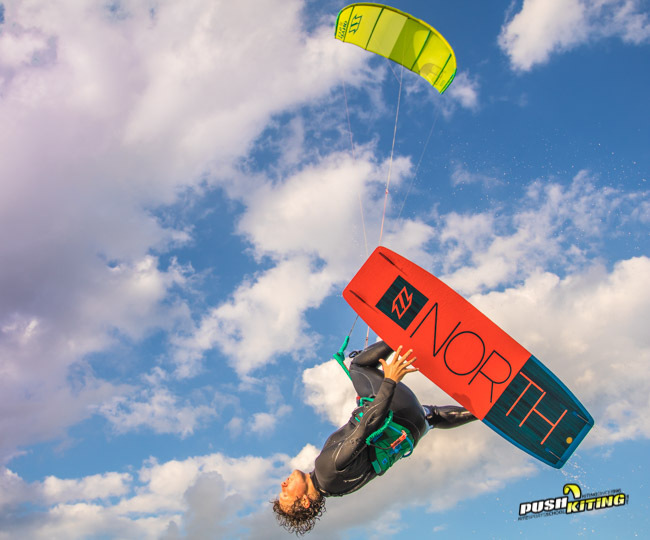 1 to 1 – £55/hr – From the beach if you have very good kite and board skills. Learn hydrofoiling with us by your side in the support boat, its the easiest and safest way to learn Kite foiling with the instructor always on hand for advice and demo’s. 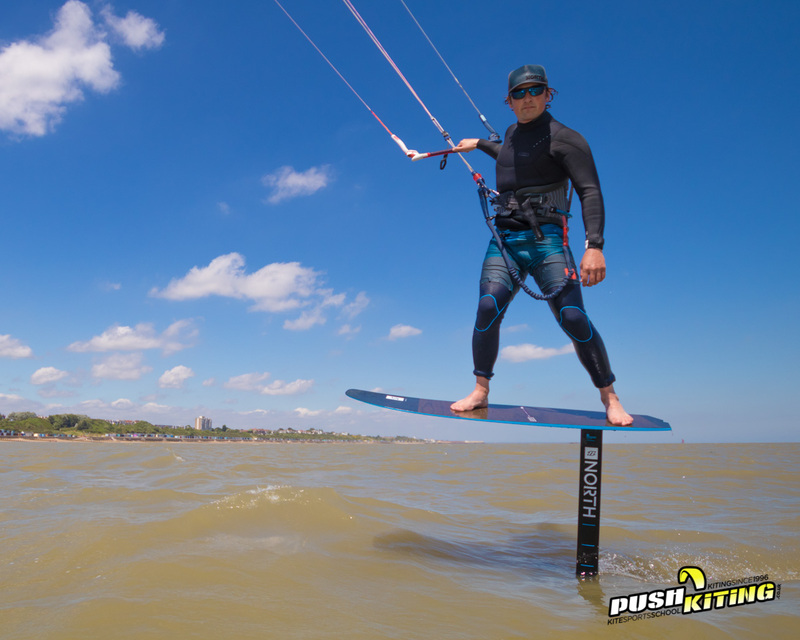 If you prefer to learn how to hydrofoil as easily as possible then you’ve found the right place, We’ve taught many people how to kite including British Champs, many other kite schools and people in the kiting world.